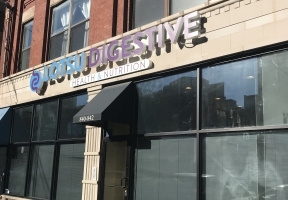 The Lotsu Digestive Health and Nutrition Center, 840-842 W. Adams St., will host an open house on Monday, Feb. 18th where attendees will be able to engage in intimate group conversations that address concerns not often discussed, as well as have the opportunity to talk one-on-one with a doctor to discuss personal issues. The open house is free and begins 8a.m., to 3p.m. For additional information, visit www.lotsuhealth.com.